It’s back – our popular talent contest for Sun Healthcare clients took place on the 15th November 2018! The event is a celebration of the talents of our clients across our five residential homes and our Community Support services. It was a fabulous night of socialising and entertainment filled with fun, joy, smiles and laughter. Well Done Awards – Helen from Shaftsbury for singing and dancing to ABBA; Michael from Community Support Services playing the Bugle; and Clem from Jubilee Court singing and dancing to Michael Jackson’s Thriller. Congratulations also to Terence and Pat from Havenfield with their duet and to Warren from Havenfield for his performance of Bachelor Boy. Service User Meeting – Mamma Mia! We were delighted to see people from the Service User Meeting (a group of client representatives from across our six services) perform a spectacular ABBA number to kick off the evening. 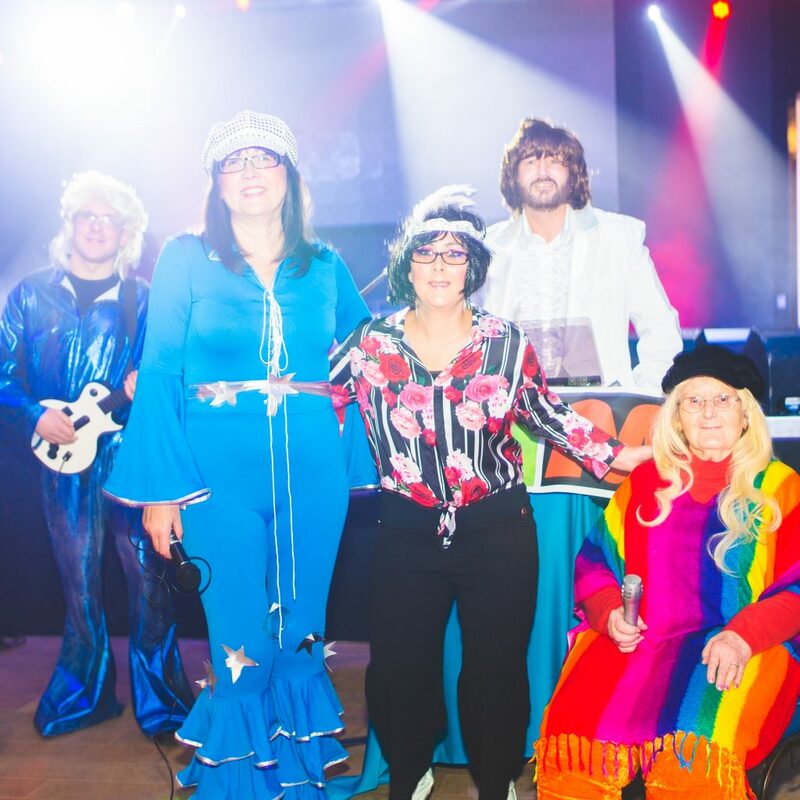 Complete with full 70s costumes, the Service User Meeting certainly showed us that what they do isn’t just about sitting around a table talking – they have fun and socialise too! Staff and clients from our Service User Meeting ready for their rendition of Mamma Mia! Our amazing staff – to Vicky for organising the event and Gareth for hosting like a pro. Thanks also to everyone who made food for the delicious buffet, helped clients practice their performances and brought them to the event. Plus, the lovely Jackie who returned from her retirement to help us judge the night. Each year we are wowed by the enthusiasm from clients and staff and the positive atmosphere of support and enjoyment that fills the room. Congratulations to everyone and we look forward to seeing you again next year!